attack on the GOP. So the bipartisan space you used to have for CFR has eroded, and even John McCain won’t stand in it. I really don’t think this is quite right. 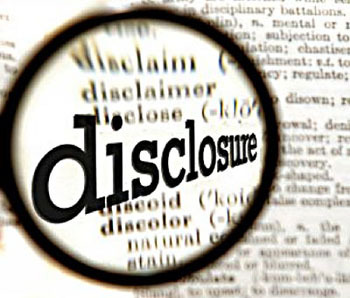 The DISCLOSE Act was initially a response to the Supreme Court’s Citizens United ruling, which permitted unlimited contributions to independent expenditure groups but explicitly allowed Congress to require disclosure of those contributions. From the very start, though, the DISCLOSE Act was opposed more-or-less unanimously by Republicans. The thing is, disclosure had always been something of a fig leaf for them, a way of demonstrating that they had a reasonable policy alternative to contribution limits. But once they had the Supreme Court on their side, making contribution limits a dead letter, they suddenly didn’t need the fig leaf anymore and support for disclosure evaporated. That happened the very first time the DISCLOSE Act was introduced in 2010, and it’s been the solid Republican position ever since. It really doesn’t have anything to do with the current campaign season. But that’s not the whole story. The current Republican position is not merely that Democrats want to “shame” rich donors, but that Barack Obama has compiled a Nixonian “enemies list” and is secretly using the full power of the United States government to harass and intimidate anyone who dares to oppose him. Because of this, it only stands to reason that America’s richest and most powerful citizens need to keep their campaign contributions in the shadows. Whether the Republican leadership has actually talked themselves into believing this fantasy, or merely trots it out to gull the Fox News set, is anyone’s guess.